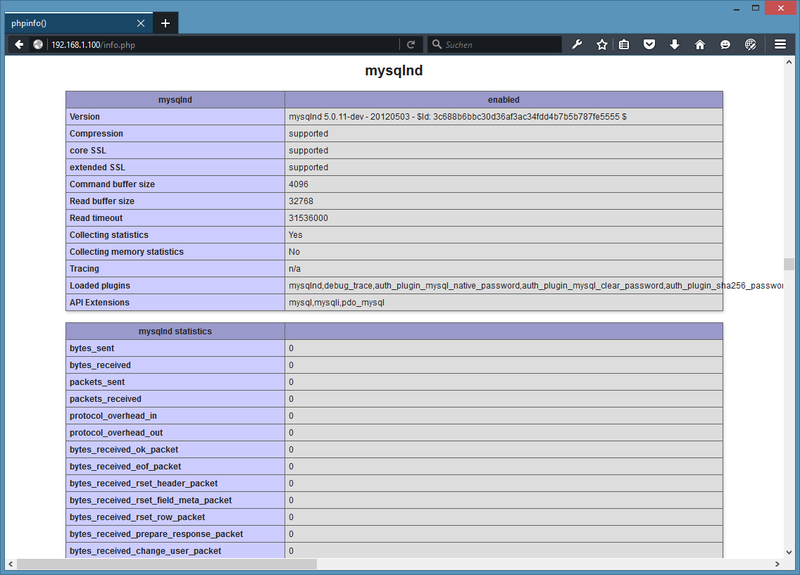 Lighttpd is a secure, fast and standards-compliant web server designed for speed-critical environments. This tutorial shows how to install Lighttpd on an Ubuntu 15.10 server with PHP support (through PHP-FPM) and MySQL or MariaDB. PHP-FPM (FastCGI Process Manager) is an alternative PHP FastCGI implementation with some additional features useful for sites of any size, especially busier sites. I use PHP-FPM in this tutorial instead of Lighttpd's spawn-fcgi. 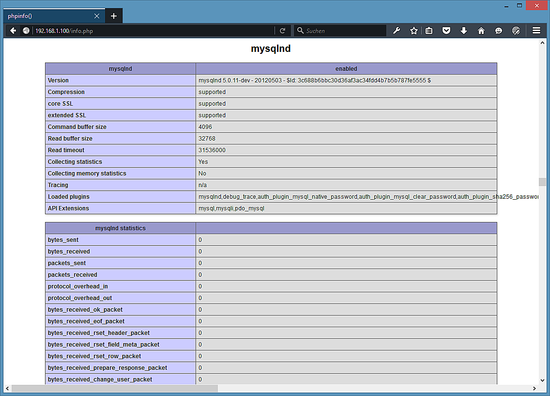 Ubuntu provides packages for the original MySQL database server (MySQL 5.6) and the MySQL fork MariaDB (10). Most users prefer to use MariaDB today as it is a bit faster than MySQL and the development progresses faster. I let the decision what to install to you here and will explain both options. Follow either the instructions in chapter 2.1 or 2.2, but not both. Now we set a root password for MariaDB. 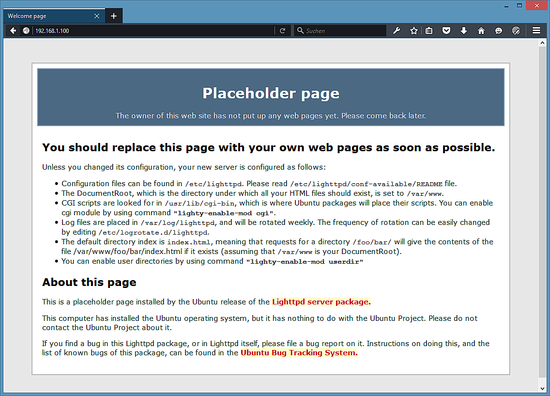 Lighttpd's default document root is /var/www/html on Ubuntu, and the configuration file is /etc/lighttpd/lighttpd.conf. Additional configurations are stored in files in the /etc/lighttpd/conf-available directory - these configurations can be enabled with the lighttpd-enable-mod command which creates a symlink from the /etc/lighttpd/conf-enabled directory to the appropriate configuration file in /etc/lighttpd/conf-available. You can disable configurations with the lighttpd-disable-mod command. PHP-FPM is a daemon process (with the systemd service unit php5-fpm.service) that runs a FastCGI server on the socket /var/run/php5-fpm.sock. As you see, PHP 5.6 is working, and it's working through FPM/FastCGI, as shown in the Server API line. If you scroll further down, you will see all modules that are already enabled in PHP5. MySQL is not listed there which means we don't have MySQL support in PHP yet. Does this work on Raspberry Pi's Raspbian? 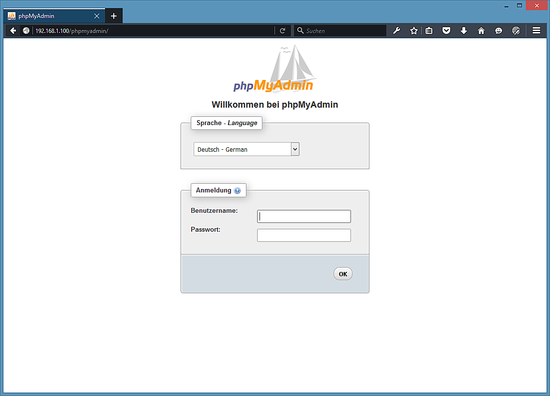 Installing Lighttpd with PHP (PHP-FPM mode) and MySQL or MariaDB on Ubuntu 15.10 as virtual machine image download, compatible with VMWare and Virtualbox.